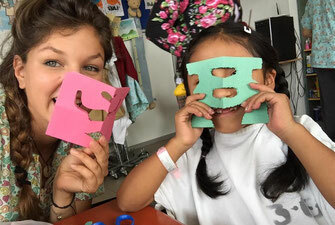 Fundacion Avanzar Supports Underprivileged Women and Children in Ecuador. AVANZAR creates programs which address the socio-economic demands that are left behind by the governmental and private sectors, and chooses existing projects which need an injection of resources (human as well as financial) in order to develop, grow and succeed. 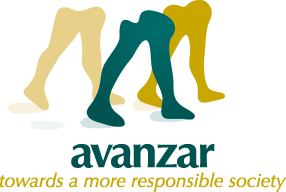 AVANZAR works with various humanitarian and development programs in favor of underprivileged women who are looking to improve their lives and those of their families, as well as for children with illnesses and their relatives. 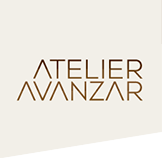 Atelier Avanzar creates handmade products of superb quality, vibrant patterns, and timeless design. 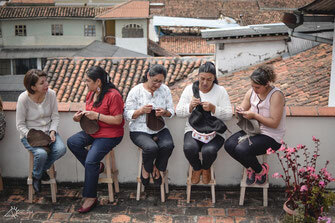 Each one of our pieces is made with love, dedication, and lots of hope for a better future. All our products are made with highly ethical production standards with the purpose of reaching economic and social performance. We started a new gastronomy course, this time with 25 women. To date, we have been able to offer these courses to 60 women annually. As of this year, we can not only accept more women per class, but we also have three courses in the program instead of just two. 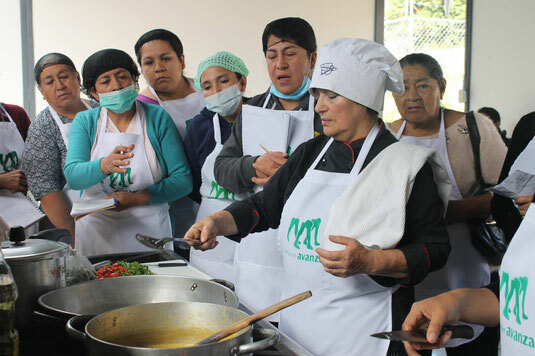 Thus, as many as 100 women will benefit from the training and be able to sustain themselves and their families with their small catering businesses. "It is only possible to advance when one looks far ahead. One can only make progress by thinking big."